Delivering Intelligent Data Integration through SSIS in Dallas 31 May 2019! 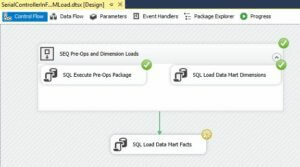 I am honored to announce I will be delivering Intelligent Data Integration through SSIS – a day-long SQL Saturday 841 – Dallas pre-conference session 31 May 2019! Continental Breakfast, Lunch and Afternoon Snacks are provided. Enterprise Data & Analytics Welcomes Shannon Lowder! I am honored and thrilled to welcome Shannon Lowder (@shannonlowder | blog | LinkedIn) to the Enterprise Data & Analytics team! 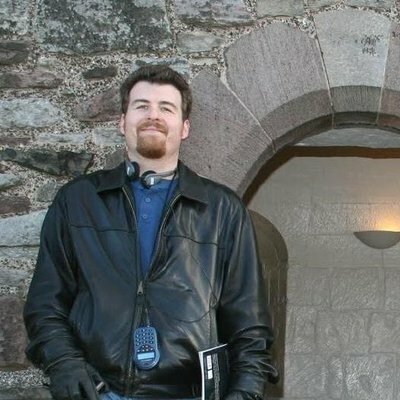 Shannon is a data engineer, data scientist, BimlHero (though not listed on the page at the time of this writing), and shepherd of the Biml Interrogator open source project. If you use Biml to generate SSIS projects that load flat files, you need Biml Interrogator. Shannon brings a metric ton of experience to serve our awesome clients. He has years of experience in data analytics, serving recently in the role of enterprise Lead Data Scientist. Shannon’s experience spans supply chain management, manufacturing, finance, and insurance. In addition to his impressive data skills, Shannon is an accomplished .Net developer with enterprise senior developer experience (check out Biml Interrogator for a sample of his coding prowess). Shannon is a regular speaker at SQL Saturday events, presenting on topics that include Business Intelligence, Biml, and data integration automation. He is a gifted engineer with experience in framework design, data integration patterns, and Azure who possesses a knack for automation. Shannon is an avid “tinkerer” who enjoys learning. He has experience implementing Azure Machine Learning and applying AI to predictive analytics using sources classified Big Data. 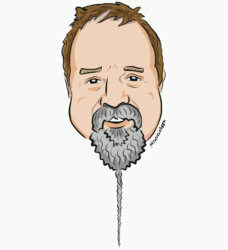 Shannon is also a practitioner of data integration DevOps with SSIS. In other words, he fits right in with our team here at Enterprise Data & Analytics! I am a data guy with a passion for partnering with clients to solve their database and technology issues. Over my career, I’ve played all the roles: database developer, administrator, business intelligence developer, and architect, and now consultant. I’m the guy you call in when you have the impossible problem and everyone tells you it cannot be solved. I automate solutions in order to free your current staff to do the higher value tasks. I bring solutions outside of traditional relational database solutions, in order to find the shortest path between you and your goals. As an accomplished Microsoft SQL data professional, recognized BimlHero, and practicing Data Scientist, I’m the resource you need to extract the most value from your data. I’m humbled and thankful and excited to watch Enterprise Data & Analytics continue to (quietly) grow – adding cool people (another announcement is forthcoming) and service offerings like Data Concierge. It’s very cool to watch! Welcome Shannon! I’m honored to work with you, my brother and friend. For more information, please contact Enterprise Data & Analytics! Catalog Reports – free, open-source. I love the SSIS Catalog reports that ship with SSMS. I hate that they’re hard-coded into SSMS. This is an SSRS solution. Software development is hard. It takes time, yes. But more than that, software development takes patience and thought and blood and sweat and love and tears. My friends at Varigence recently released an update to their Business Intelligence Markup Language (Biml) products. If you’re into business intelligence or data science, integration, or engineering, you should check out Biml. The release took longer than some would have liked. Varigence didn’t provide regular updates on progress. I understand. Really, I do. As a BimlHero I get just a little more access behind the curtain compared to the average bear. Would I like to know more? Yep. Does it bother me when I don’t hear more? Nope. Why? SSIS development is software development. I can hear you thinking, “If you’re convinced the SSIS Catalog is so awesome, Andy, why did you build DILM Suite?” That’s a fair question. I actually answer this question in the book in chapter 6 titled Catalog Browser. 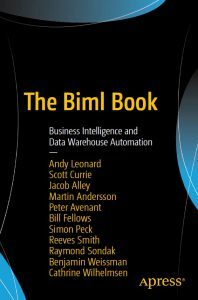 You don’t have to buy the book to learn my answer; I published Chapter 6 here on this blog in a post with the obscure title, Why I Built DILM Suite, by Andy Leonard. There have been thousands of downloads since I built DILM Suite. I view the number of downloads as indicative of interest. Does everyone who downloads a product – especially a free product – use that product? Goodness no. 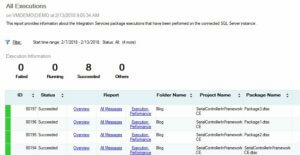 Does everyone who uses SSIS or the SSIS Catalog need to download DILM Suite components? Goodness no. 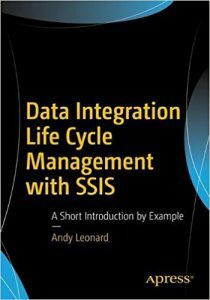 If you’re trying to practice lifecycle management (or DevOps) with SSIS, though, DILM Suite can help. Software development is a lot like being a parent in that it consists of getting 100 dumb little things right. Are the dumb little things important? Some are, some are not, and some are vital. Does anyone get all 100 dumb little things right in parenting? in software development? No and no. At the end of the day, every day in fact, I am extremely proud of what I’ve built. SSIS Catalog Compare is the first product I’ve ever attempted to develop. Perhaps that shows. My competition certainly thinks so and has made much hay out of this fact. Do I shy away from telling folks because my competition uses it against me? Getting software right is all about getting everything right including the best wording for feedback and error messages (like that shown at the top of this post). Getting everything right is almost impossible, and certainly cost-prohibitive, but it should absolutely be the goal of any software development endeavor. Getting 100 dumb little things right is my goal. Enter the SSIS Design Pattern named the Controller Pattern. A Controller is an SSIS package that executes other SSIS packages. Controllers can be serial or parallel, or combinations of both. I’ve seen (great and talented) SSIS architects design frameworks around specific Controllers – building a Controller for each collection of loaders related to a subject area. There’s nothing wrong with those solutions. SSIS Framework Community Edition ships with a generic metadata-driven serial controller named Parent.dtsx which is found in the Framework SSIS solution. This controller achieves parallel execution. One answer to the question, “How do I execute packages in parallel?” is to build a specific controller like this one. 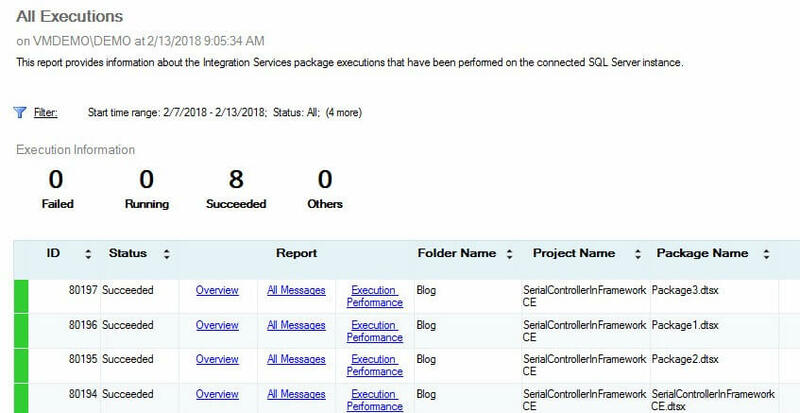 The All Executions report accurately reflects an important aspect of the execution of the SerialController.dtsx SSIS package. The execution of this package – and the packages called by SerialController.dtsx – share the same Execution ID value. This is not necessarily a bad thing, but it is something of which to be aware. This controller uses Execute SQL Tasks instead of Execute Package Tasks. 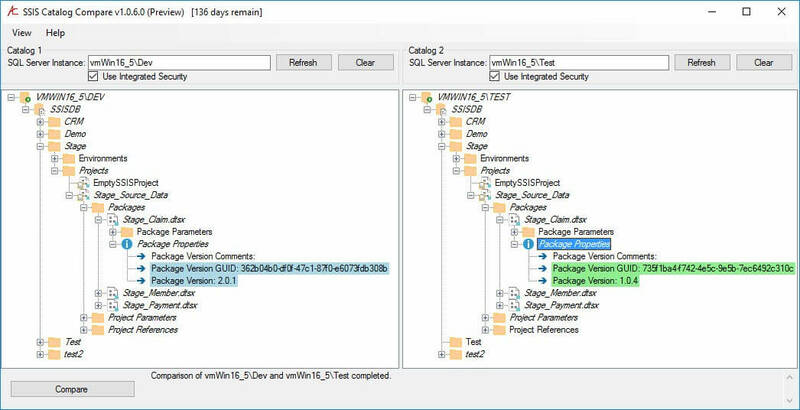 The T-SQL in the Execute SQL Tasks calls a stored procedure named custom.execute_catalog_package that is part of SSIS Framework Community Edition. One answer to the question, “How do I execute packages in parallel using SSIS Framework Community Edition?” is to build a Controller. We now see one execution listed in the All Executions report for each package. As before, All Executions accurately reflects an important aspect of the execution of the SerialControllerInFrameworkCE.dtsx SSIS package: The execution of the Controller and each Child package now have distinct Execution ID values. 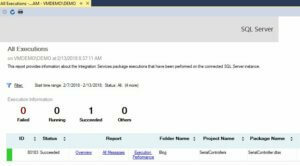 When using specific Controllers with an SSIS Framework it’s common to create a single-package SSIS Application that simply starts the Controller, and then let the Controller package call the child packages. Parent.dtsx in SSIS Framework Community Edition is a generic metadata-driven Controller, but it doesn’t mind executing specific Controllers one bit! Not too long ago, Kent Bradshaw and I endeavored to add automated parallel package execution to our Commercial and Enterprise SSIS Frameworks. We achieved our goal, but the solution added so much complexity to the Framework and its associated metadata that we opted to not market the implemented solution. Starting SSIS packages in parallel is very easy to accomplish in the SSIS Catalog. The SYNCHRONIZED execution parameter is False by default. That means we could build a controller package similar to the SerialControllerInFrameworkCE.dtsx SSIS package – with precedence constraints between each Execute SQL Task, even – and the SSIS Catalog would start the packages in rapid succession. In some scenarios – such as the scenario discussed in this post (from which the current post was derived) – this then becomes a race condition engine. I grabbed this screenshot after the dimension loader and some (vague) pre-operations process have completed in parallel but while the fact loader is still executing. Please note the combination of the Sequence Container and precedence constraint which ensure the fact loader does not start executing until the dimension loader execution is complete. The sequence container creates a “virtual step” whereby all tasks within the container must complete before the sequence container evaluates the precedence constraint. 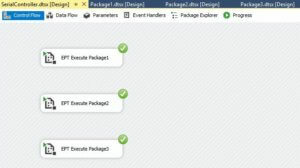 Since each task inside this container starts an SSIS package (and since the SYNCHRONIZED execution parameter is set to True by default in SSIS Framework Community Edition), nothing downstream of this container can begin executing until everything inside the container has completed executing. This is how we avoid the race condition scenario described earlier. How does one automate this process in a framework? The method Kent and I devised was to create and operate upon metadata used to define and configure a “virtual step.” In SSIS Framework Community Edition the Application Packages table is where we store the Execution Order attribute. We reasoned if two Application Package entities shared the same value for Execution Order, then the associated package(s) (I’m leaving out some complexity in the design here, but imagine executing the same package in parallel with itself…) compose a virtual step. In a virtual step packages would start together, execute, and not proceed to the next virtual step – which could be another serial package execution or another collection of packages executing in parallel in yet another virtual step – until all packages in the current virtual step had completed execution. Here, again, I gloss over even more complexity regarding fault tolerance. Kent and I added metadata to configure whether a virtual step should fail if an individual package execution failed. This was but one of our designs (we tried three). We learned managing execution dependency in a framework is not trivial. We opted instead to share the Controller pattern. While visiting a client who had deployed the Controller Pattern, we noticed something. The client used a plotter to print large copies of Controller control flows and post them on the walls outside his cubicle. When we saw this we got it. The tasks in the Controller’s control flow were well-named. They were, one could say, self-documenting. By posting updated versions of the Controller control flows whenever the design changed, the data engineer was informing his colleagues of changes to the process. He didn’t need to explain what had changed. It was obvious to anyone stopping by his cubicle for a few minutes. Briliant! In this post I wrote about some data integration theory. I also answered a question I regularly receive about performing parallel loads using SSIS Framework Community Edition. I finally covered some of the challenges of automating a solution to manage parallel execution of SSIS packages in a Framework. Note: much of this material was shared earlier in this post. I broke the Controller Pattern part out in this post because the other post was really too long. You might need an SSIS framework. “How can I tell if I need an SSIS framework, Andy?” I’m glad you asked. 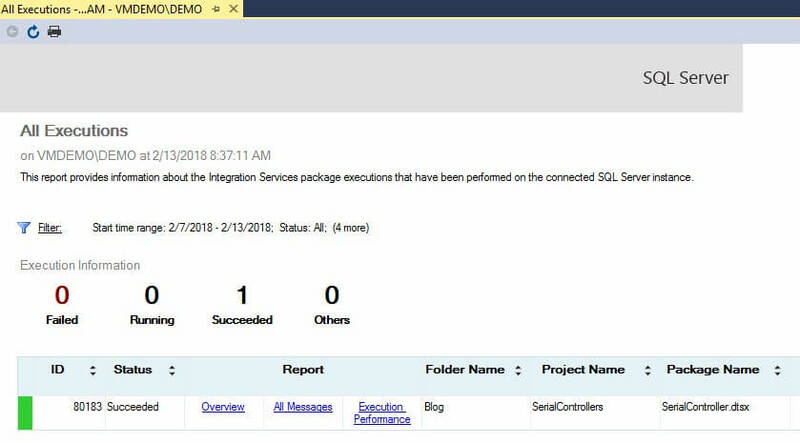 Execute lots of SQL Server Integration Services (SSIS) packages? 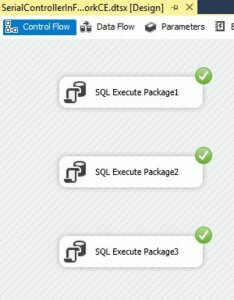 Execute SSIS packages several times per day? 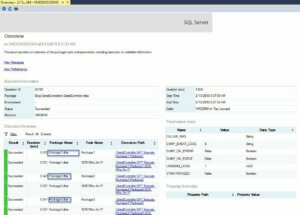 Execute “SSIS in the Cloud” using the Azure Data Factory version 2 Integration Runtime (ADFv2 IR)? Require configuration options not available in off-the-shelf solutions? One SSIS best practice is to develop small, unit-of-work packages. You can think of them as data engineering functions. 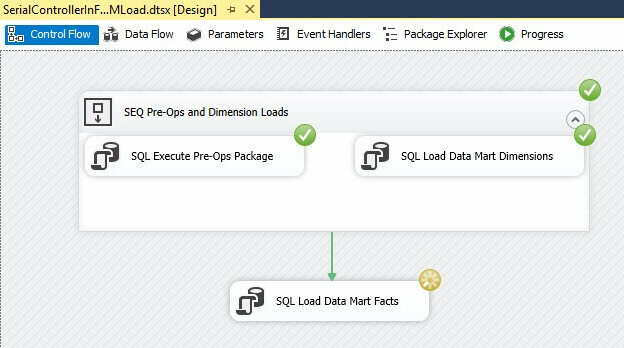 Design SSIS packages with the fewest number of Data Flow Tasks, optimally one. There’s a saying in engineering (and life): “There’s no free lunch.” Applied to data engineering with SSIS, if you apply the best practice of creating small, unit-of-work packages, you end up with a bunch of SSIS packages. How do you manage executing all these packages? An SSIS framework. An SSIS framework manages package execution, configuration, and logging. The SSIS Framework Community Edition is part of the DILM (Data Integration Lifecycle Management) Suite. SSIS Framework Community Edition groups the execution of several SSIS packages into SSIS Applications, which are a collection of SSIS packages configured to execute in a specific order. Yes. And no. 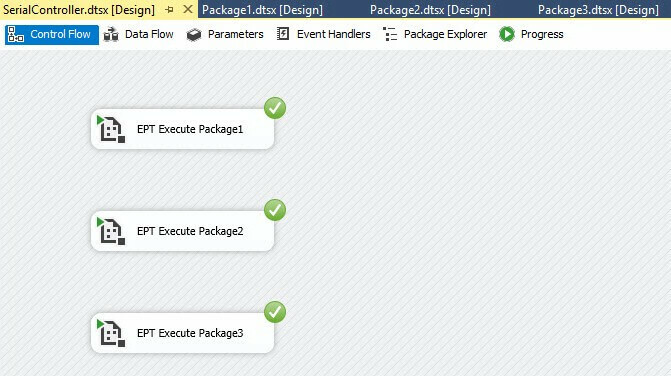 When deploying to the SSIS Catalog, the Execute Package Task can be used to execute any package as long as that package exists in the same project. What if you have a utility package – say a package that archives flat files after you’ve loaded them – that you want to store in a single SSIS Catalog folder and project but call from different processes (or SSIS applications)? 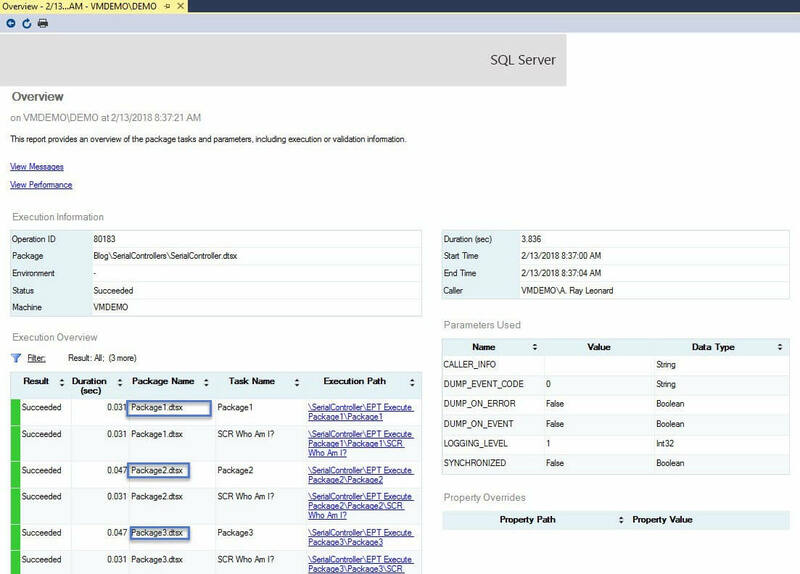 SSIS Framework Community Edition can execute that package as part of an SSIS application. 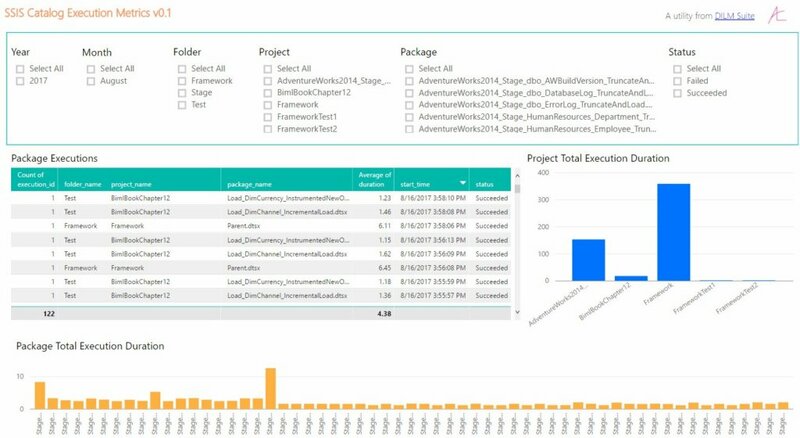 …or you could view SSIS execution logs and operational metadata using Catalog Reports – a free and open-source SQL Server Reporting Services (SSRS) solution from DILM Suite. SSIS Framework Community Edition is Free. And Open-Source. SSIS Framework Community Edition is free and open-source. In fact, the documentation walks you through building your own SSIS framework – it teaches you how you would design your own SSIS framework. Customization is one of the coolest features of open-source software. If you need some unique functionality, you have the source code and can code it up yourself! If you don’t have time to code your own unique functionality, Enterprise Data & Analytics can help. It’s possible SSIS Framework Commercial or Enterprise Edition already has the functionality you seek. Compare editions to learn more. I can hear you thinking, “Wait. It’s free. It’s open-source. And it runs in the cloud?” Yep, yep, and yep! Learn more at Enterprise Data & Analytics. 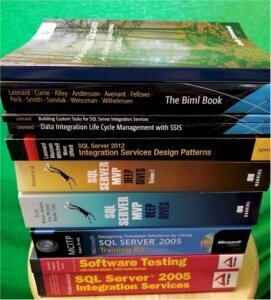 I’ve authored and co-authored a bunch of books! Truth be told, I enjoy writing. I think my love of writing stems from a love of learning. I’m just trying to share the joy! It’s a huge honor to write. I’m humbled and thrilled (all at the same time – a feeling I describe as “all giggly inside”) whenever I’m attending an event like the PASS Summit or a SQL Saturday and someone tells me they enjoy what I’ve written or learned something from something I’ve written. Mostly I’ve co-authored books but a few I’ve written by myself. I owe all my knowledge to those who shared their knowledge with me. I am merely your scribe. For a list and links to my books, please visit my Amazon author page. If you’d like for me to train you or your team in the fine arts and sciences of SSIS, Biml, or both in-person or remotely, please contact me. I’m glad you asked. I will answer with a question: What just happened? What code or command or process or… whatever… just “completed successfully”? Silly question, isn’t it? There’s no way to tell what just happened simply by looking at that output. You don’t know what just happened. The optics got… tricksy… with the client in PrUAT. Vendors were not receiving pay due to the state of our solution. The vendors (rightfully) complained. One of them called the news media and they showed up to report on the situation. Politicians became involved. To call the situation “messy” was accurate but did not convey the internal pressure on our teams to find and fix the issue – in addition to fixing all the other issues. There were fires everywhere. In this case, one of the fires had caught fire. My boss called and said, “Andy, can you fix this issue?” I replied, “Yes.” Why? Because it was my job to fix issues. Fixing issues and solving problems is still my job (it’s probably your job too…). I found and corrected the root cause in Dev. As ETL Architect, I exercised my authority to make a judgment call, promoted the code to Test, tested it, documented the test results, created a ticket, and packaged things up for deployment to PrUAT by the PrUAT DBAs. Because this particular fire was on fire, I also followed up by calling Geoff, the PrUAT DBA I suspected would be assigned this ticket. Geoff was busy (this is important, don’t forget this part…) working on another fire-on-fire, and told me he couldn’t get to this right now. But this had to be done. I thanked Geoff and hung up the phone. I then made another judgment call and exercised yet more of my ETL Architect authority. I assigned the PrUAT ticket to myself, logged into PrUAT, executed the patch, copied the output of the execution to the Notes field of the ticket (as we’d trained all DBAs and Release Management people to do), and then manually verified the patch was, in fact, deployed to PrUAT. I closed the ticket and called my boss. “Done. And verified,” I said. My boss replied, “Good,” and hung up. He passed the good news up the chain. I could ramble here. But let me cut to the chase. Remember Geoff was busy? He was working a corrupt PrUAT database issue. How do you think he solved it? Did you guess restore from backup? You are correct, if so. When did Geoff restore from backup? Sometime after I applied the patch. What happened to my patch code? It was overwritten by the restore. I re-opened the ticket and assigned it to Geoff. Being less-busy now, Geoff executed the code, copied the output into the Notes field of the ticket (as we’d trained all DBAs and Release Management people to do), and then closed the ticket. The next night, the process executed successfully and the vendor checks were cut. That is an excellent question because I should have been fired. I’m almost certain the possibility crossed the mind of my boss and his bosses. I know I would have fired me. The answer? Documented output, to be more precise. You see, the output we’d trained all DBAs and Release Management people to copy and paste into the Notes field of the ticket before closing the ticket included enough information to verify that both Geoff and I had deployed code with similar output. It also contained date and time metadata about the deployment, which is why I was not canned. Compare the screenshot at the top of this post to the one below (click to enlarge). This T-SQL produces lots of output. That’s great. Sort of. “There’s no free lunch” is a saying that conveys everything good thing (like lunch) costs something (“no free”). And that’s true – especially in software development. Software design is largely an exercise in balancing between mutually exclusive and competing requirements and demands. If it was easy anyone could do it. It’s not easy. 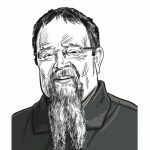 It takes experienced developers years to develop (double entendre intended) the skills required to design software – and even more years of varied experience to build the skills required to be a good software architect. The good news: the output is awesome. The bad news: the output is a lot of typing. That’s not DevOps. That’s wishful thinking. You’ve probably heard of technical debt. This is the opposite of technical debt; this is a technical investment. Technical investments are time and energy spent early (or earlier) in the software development lifecycle that produce technical dividends later in the software development lifecycle. (Time and energy invested earlier in the project lifecycle always costs less than investing later in the project lifecycle. I need to write more about this…) What are some examples of technical dividends? Well, not-firing-the-ETL-Architect-for-doing-his-job leaps to mind. This isn’t the only technical dividend, though. Knowing that the code was deployed is important to the DevOps process. Instrumented code is verifiable code – whether the instrumentation supports deployment or execution. Consider the option: believing the code has been executed. Measuring technical dividends directly is difficult but possible. 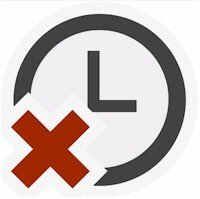 It’s akin to asking the question, “How much downtime did we avoid by having good processes in place?” The answer to that question is hard to capture. You can get some sense of it by tracking the mean time to identify a fault, though – as measured by the difference between the time someone begins working the issue and the time when they identify the root cause. Good instrumentation reduces mean time to identify a fault. Knowing is better than guessing or believing. The extra typing required to produce good output is worth it. In this age of automation, good output may not require extra typing. Good output may simply require another investment – one of money traded for time. There are several good tools available from vendors that surface awesome reports regarding the state of enterprise software, databases, and data. DevOps tools are maturing and supporting enterprises willing to invest the time and energy required to implement them. In addition, SSIS Catalog Compare compares the contents of two SSIS Catalogs – like QA and PrUAT, for example. Can one compare catalogs using other methods? Yes. None are as easy, fast, or complete as SSIS Catalog Compare. For a limited time you can get SSIS Catalog Compare for 60% off. 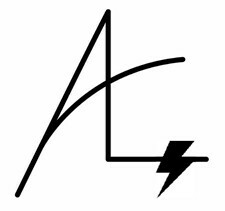 Click here, buy SSIS Catalog Compare – the Bundle, the GUI, or CatCompare (the command-line interface) – and enter “andysblog” without the double-quotes as the coupon code at checkout. Whether you use a tool to generate scripts or not, it’s a good idea to make the technical investment of instrumenting your code – T-SQL or other. Good instrumentation saves time and money and allows enterprises to scale by freeing-up people to do more important work.